Private Investigators Union has compiled this info so that you may be better informed about our affiliate program. Question 1? How do you keep track of the orders coming from my site? 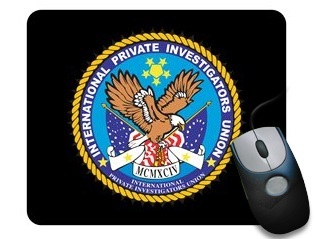 When you sign up as a Private Investigators affiliate, you will be assigned a unique identification number. This unique identification number is used in every URL that you use to link to any of our affiliate products. Question 2? Do I have to enter my unique affiliate identification number in any advertising I do? No, we have already added your unique affiliate identification number in all the Copy & Paste code for banners and text links as well as individual product links to promote our affiliate products. Question 3? How will I know how many products I sold? You may login into your account at any time to view exactly how many visitors have traveled from your site to Private Investigators and how many of each product were sold on a daily basis. Question 4? Do I need a credit card merchant account and a secure site to join? No. That is the beauty of an affiliate program -- we take care of all of the payment processing, secure server technology and even the shopping cart system. Then we pay you the commission for the sale through Paypal. Question 5? How should I incorporate the Private Investigators Affiliate Program into my web site? We offer a whole range of ready-to-use options such as banners and text links that you can easily add to your web site, or your opt-in mailing list. We give you tools you need, but no matter how you integrate them into your web site, we give you complete control. Question 6? Can I take orders directly on my web site instead, and just send you the customer information afterward? No. 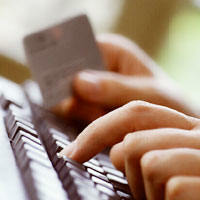 We offer a secure web site which is essential in collecting online orders. Plus, we handle all customer questions and requests, including cancellations and returns. We do the work, You get the commission. Question 7? When do I get paid? Monies due for orders generated as a result of AFFILIATE links/Web Site will be held for 30 days after the Shipping Date of an order. When your account total reaches $100.00 or more your payment shall be sent to you through Paypal. Yes. When your visitor first comes to our site, we tag them with a cookie that includes your affiliate number. So if someone visits us through your link to our site and does not buy one of our products right away -- but returns later to purchase one of our eligible products -- you will still get credit for that sale and earn your commission! Question 9? What happens if a visitor has cookies turned off on their browser? If a visitor has cookies turned off on their browser, our special tracking software will always point to your reference number, even if they bookmark us and return later to purchase. Question 10? Do I have to create my own advertising to promote your programs? No. You get to eliminate the hassles of product development, ad writing, order processing, shipping, refunds, and customer service. We do all that. All you do is drive visitors to our site!